WhatsApp announced the launch of their business API yesterday. This is a big deal. A lot of businesses have been asking for WhatsApp integration and now its a possibility. Twilio has already launched an integration. Won't be long before we see a lot more integrations pop up. The most obvious use case is for support chat bots, alerts and reminders. 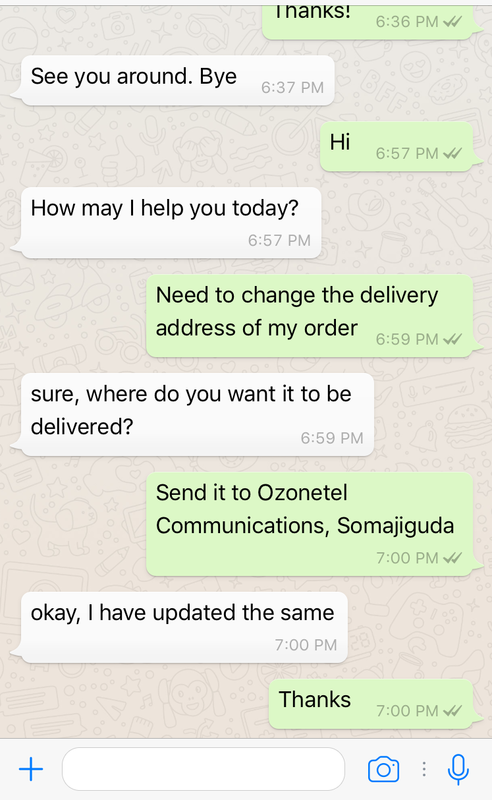 But we at Ozonetel believe one other use case will become the dominant use case, WhatsApp as a support channel with human agents. WhatsApp is ubiquitous. Everyone has the app. WhatsApp interface is well known to all customers. It is feature rich. You can share audio, video, location etc in the app itself. You can integrate bots for repetitive tasks. 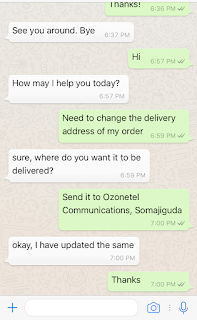 Being the leaders in cloud contact center solutions, we at Ozonetel knew that we had to integrate with the WhatsApp channel as early as possible. We heard the announcement late last night and our engineering team pulled an all nighter to make the WhatsApp integration with KooKoo Cloudagent a reality. 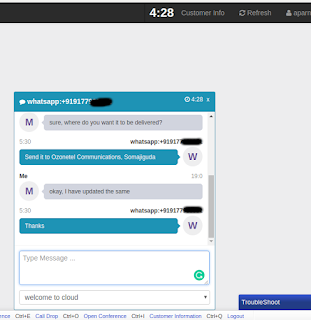 Screenpop: Pop relevant information to your agents when you receive a WhatsApp chat. Skills: Route your chats depending on skills of agents. Multiple chats: Single agent can handle multiple WhatsApp chats. Queues: If all your agents are busy, put your customers in a queue. Bot integration: Start the conversation with a bot and then move to human interaction for more complicated queries. Live agent monitoring: Supervisors can monitor agents in real time and also barge in. Call upgrade: Upgrade the interaction from a chat to a call. If you want a live demo, just send us an email at sales@ozonetel.com and we will showcase a cool demo for you. Just not sharing our WhatsApp number on the blog because of spam reasons. 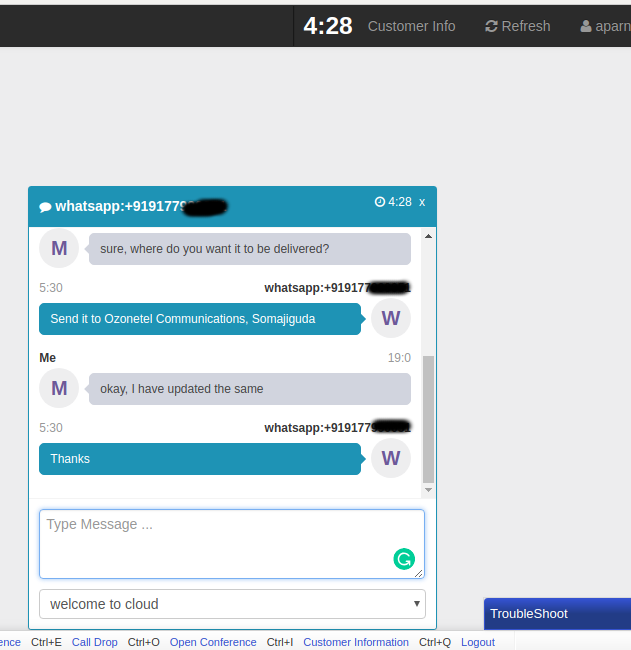 Just sign up for a KooKoo Cloudagent account, assign agents to the WhatsApp skill and start handling WhatsApp chats from your customers. Talk to us to learn how to enable the WhatsApp channel for your contact center. Note: We will be announcing a lot more details in the coming days along with video demos. Wanted to announce the integration with 24 hours of the WhatsApp announcement and hence the blogpost.